Renewed confidence in France has driven the prime Paris residential property market to new highs. The election of Emmanuel Macron in May 2017 accelerated the recovery of the market, and a pro-business agenda coupled with tax reform has boosted France’s appeal as a place to invest and do business. This has stimulated the market for international buyers. However, Paris’s prime residential market remains a domestic one, so it is French buyers who have driven this growth. Prices reached record highs last year, and transactions are at their highest volumes since 2011. The top prime districts of Paris – characterised by the highest prices and best-quality stock – have all returned to growth in the last two years, but it is the less-established arrondissements that have performed best. The 3rd and 10th are the two stand-outs – where prices have outperformed the top districts from a lower base. Prime Paris still offers value on the world stage, too. After 10 years of underperforming against its global rivals, a period of catch-up is to be expected. Highly land constrained, only tiny amounts of new stock are added through conversions, and restricted supply will sustain prices over the long term. In spite of rising international demand, price growth is likely to increase at moderate levels, given the reliance on domestic wealth. Paris’s prime market has recorded its best performance since 2011, with prices up across the board. However, some arrondissements have fared better than others. Prime Paris residential prices have now risen for four successive years, up 3.5% in the year to June 2018. 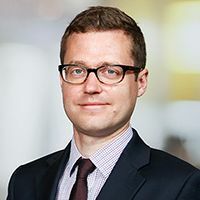 Transaction volumes exceeded their 2011 peak at the end of 2017, as domestic and international buyers, as well as returning French expats, competed for available stock. 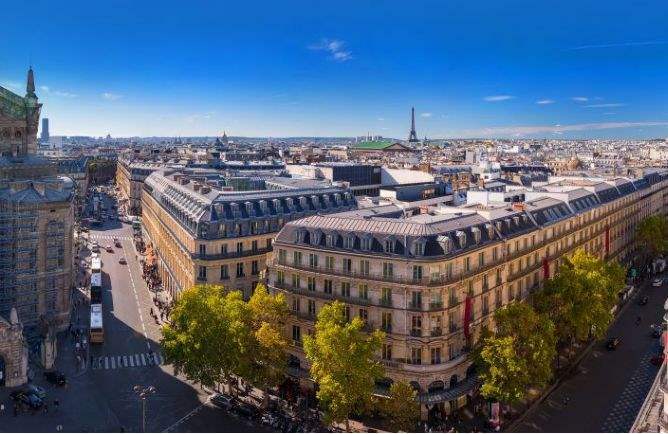 According to the Chambre des Notaires de Paris, average prices across the city stand at €9,300 per sq m (as at Q2 2018). Prime prices range between €12,000 and €20,000 per sq m, with ultra prime prices starting at €20,000 per sq m (see page two for prime definitions). An average Paris property is now on the market for just 45 days (down from 59 in 2014), though momentum is beginning to slow as buyer and seller expectations have become misaligned in a rising market. Prices are now rising all across,Paris, and 86% of transactions over €2 million took place in the prime arrondissements last year (see chart, top right). But our analysis reveals the relative underperformance of some of the best-established prime arrondissements over the longer term. Prices in the 16th arrondissement grew by 4.6% in the year to September 2018, but remain 2.4% below their 2011 high. Characterised by large properties just outside the core, the 16th was the district hardest hit during the market downturn. The 6th, 7th and 8th – among the most expensive arrondissements – have also recorded lower levels of growth since their former highs, though all are now seeing price rises (see bar chart, right). The best-performing prime arrondissement has been the 3rd, where prices stand 16.6% above 2011 levels, increasing by 23.1% in the last five years. North of the Marais, this small but well-located district offers an extensive range of independent retail outlets and restaurants, and has risen in stature. The 10th, meanwhile, is the best-performing ‘mainstream arrondissement’. Prices here are now 21.5% above the former high of 2012, and have increased by 21.8% in the last five years. With parallels to London’s King’s Cross area, this regenerating district is home to the SaintMartin Canal and two major railway stations – Gare de l’Est and Gare du Nord – the latter of which provides direct links to London. Paris in a global context. Moving up the ranking of top-tier world cities, Paris looks increasingly attractive thanks to tax reforms. 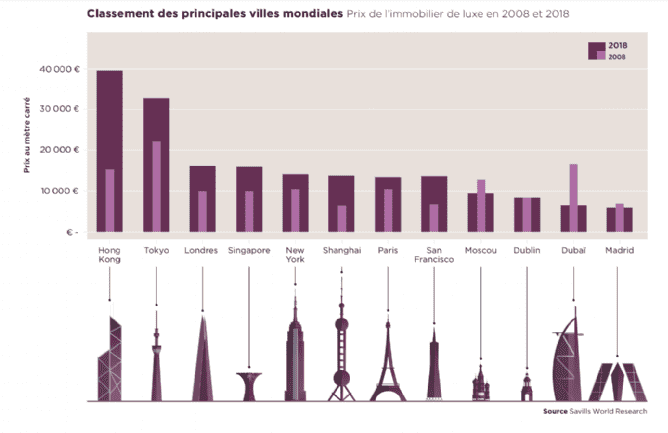 A global ranking Despite enjoying a strong international standing, the Paris residential market remains mainly domestic. This is a key reason why prime residential prices are well below those of its global peers. The city ranks 7th in our league table of toptier global cities, having overtaken San Francisco in the past 12 months. Prime prices on a square-metre basis stand 66% below prime Hong Kong and 19% below Prime London, in euro terms. How has tax reform impacted the market? The wealth tax has been replaced by a new tax, L’impôt sur la Fortune Immobilière (IFI), which applies to real-estate assets only. It covers real estate held directly by individuals, as well as shares in companies (regardless of legal status and localisation). The threshold remains unchanged at €1.3 million. All other aspects of the former wealth tax (eg taxes on fi nancial assets) have been abolished. This has helped improve the attractiveness of the French tax regime for wealthy individuals. Outlook for the Paris market. Expansion and infrastructure are key to the city’s future growth. We anticipate continued growth in prime Paris prices, but at a slower rate as the ‘bounce back’ ends. We also expect the geography of prime Paris to expand as demand outweighs limited stock available in this landconstrained city. 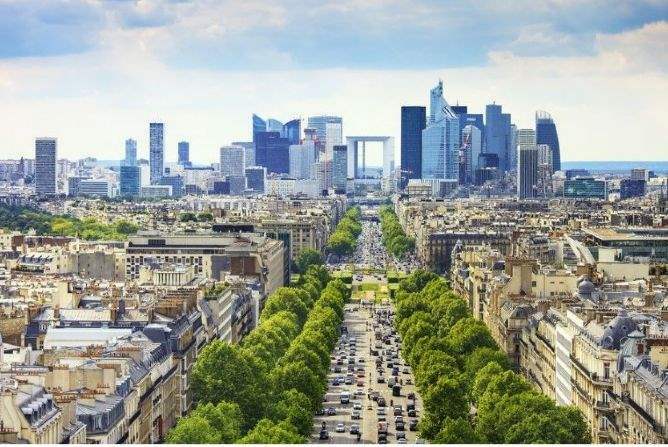 Major infrastructure projects, such as Grand Paris and the Olympic Games, will support growth of outer Paris and the Île-de-France residential markets. There is specific growth potential around new and expanded stations. The European Central Bank is not anticipated to increase interest rates until the autumn of 2019. Any rises in the near term are likely to be small and will mainly impact the mainstream markets. London looks to remain Europe’s financial capital in the wake of Brexit, but Paris is set be the biggest beneficiary of any job relocations. Paris’s vibrancy, relative scale and ease of access to London gives it an edge over its other European rivals.